We had some wind damage to a couple of row covers and we replaced them today. All the babies look happy and healthy! Blacksburg, Radford, and Pulaski customers! We are pleased to announce that we have expanded our produce shares to 40 spots (we’ll have a waiting list, too, so don’t despair)! Added to this website, you will see just above this post a navigation area that now has link to “CSA Produce Share.” Click that link and head over to our CSA page for details and breakdown of the program or just click here and go directly to our CSA page. 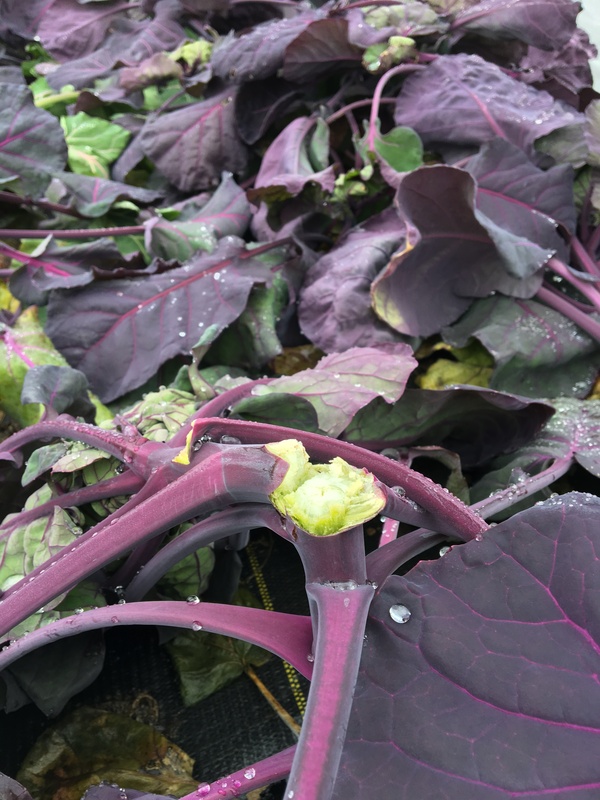 In brief, we will ofter freshly picked, high quality produce each week to our share members over a 20 week season. Members will be emailed (so be sure to fill out the contact form) the Sunday before the Pulaski and Blacksburg distribution (Radford may be added) days. The email will contain a list of available produce, and share members will choose what items they would like in their bags. Pick-ups will be in Pulaski (Tuesdays from 4 to 7PM at the Marketplace) and Blacksburg (day, time, and location TBD). Bring your empty bag back and get a full one in return. No fuss no muss, in and out and ready to eat…it’s just that easy! We have three payment options: you can pay for the full 20 weeks and receive a discount, you can pay for each month, or you can pay by the week. Signup today! Harvest season is just around the corner! I don’t know about you, but I’m ready for some super fresh vegetables! I did some more fall cleanup in the garden today. It was a rare rain-free day with the sun peeking through the clouds every now and then. Oh yes. You heard correctly…I said I did some FALL cleanup today. March 2nd in the year of 2019. If we write any kind of memoirs about our gardening experiences they would be mostly about what NOT to do. Such as putting off fall cleanup until March of the next year. But then again, I swear the only constants in our gardens that have happened since the early fall are rain and mud. I do not exaggerate. I am pretty certain that it has rained at some point each and every week since the month of September. It’s weird. I think it is safe to say our region is no longer in a drought…and mostly is in a surplus. As in, we have standing water where we have never ever seen water. Supersaturation. Yep. What’s it been like in your neck of the woods? Is your garden season starting off as expected? We recently had about 17 inches of snow. 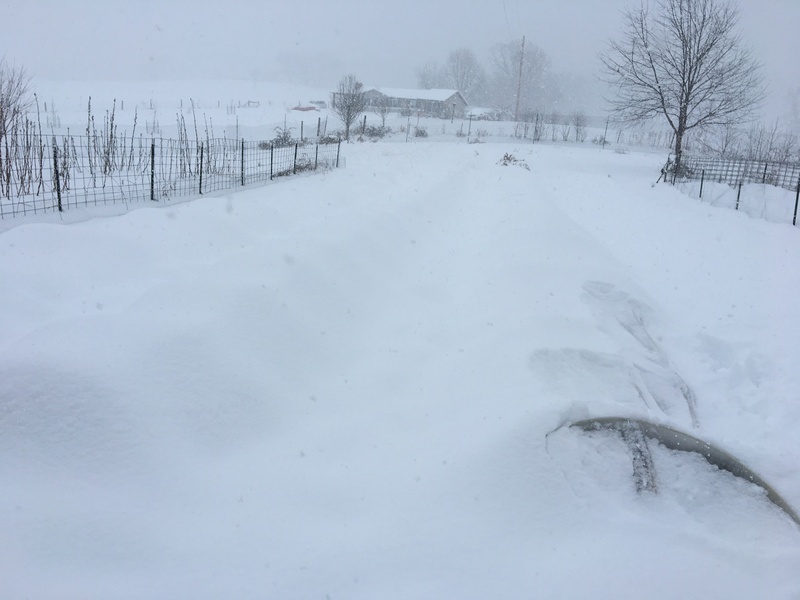 I was unable to keep up with sweeping the accumulating snow off the rows. 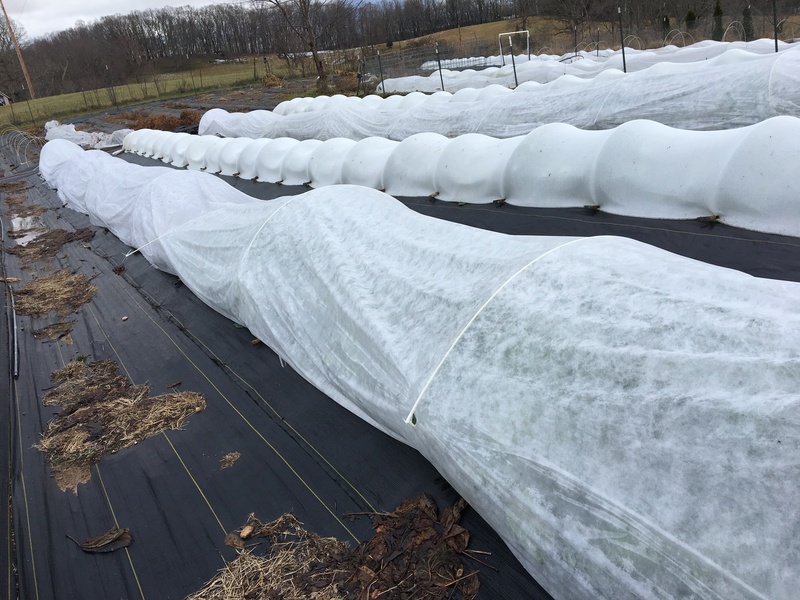 Snow is insulating to plants, so I wasn’t worried about cold damage so much as the fiberglass rods breaking under the weight of the snow, tearing the row covers. Today, between the rain and some warmer temperatures, the last bit of snow has finally melted. I surveyed the crops. Some fiberglass rods have snapped with some row cover damage. Some of the plants (e.g. 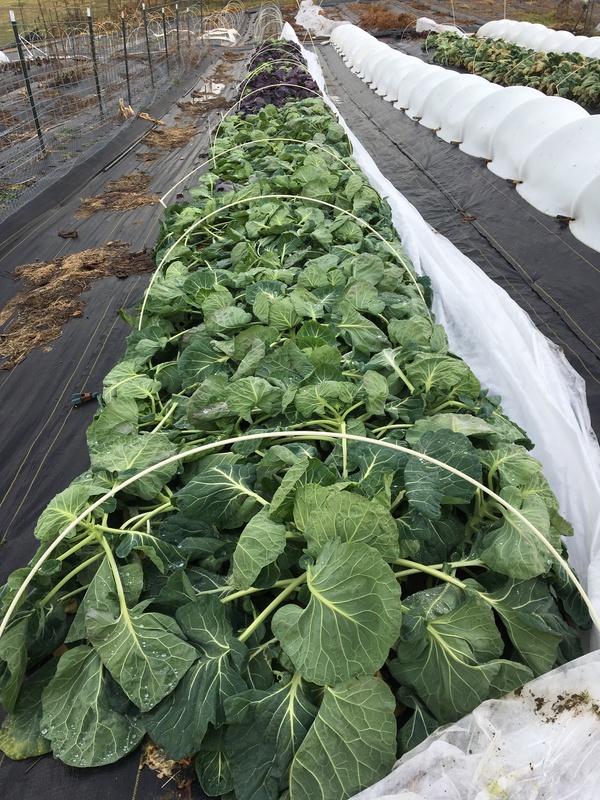 Brussels sprouts pictured) sustained physical damage from the weight of the snow, and their tops have been broken. 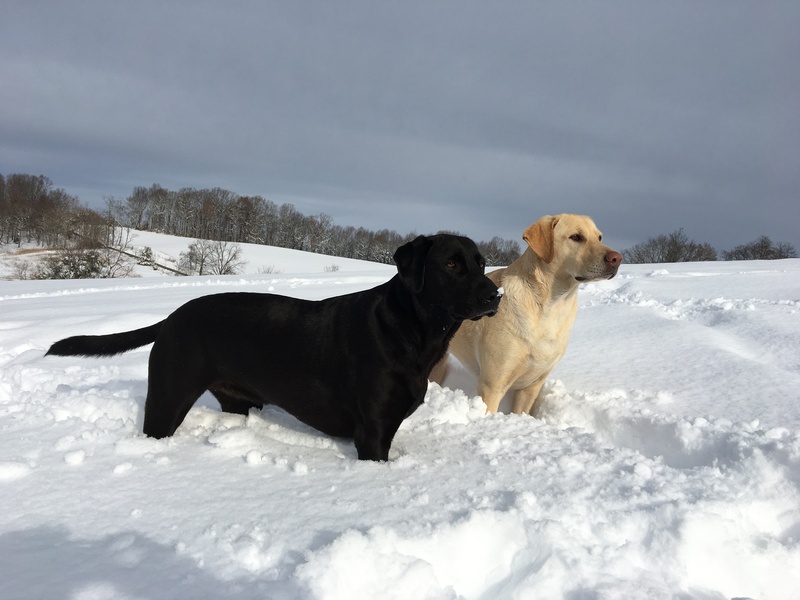 But when it comes down to it, the crops are still looking pretty good and the damage, given the amount of snow and cold temperatures, is minimal.